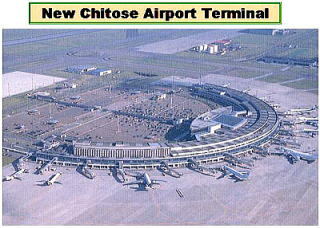 New Chitose Airport is an airport in the Sapporo metropolitan area. 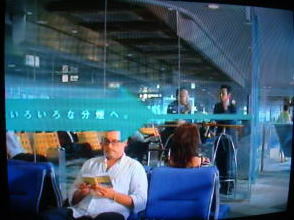 It is the largest airport in Hokkaido. 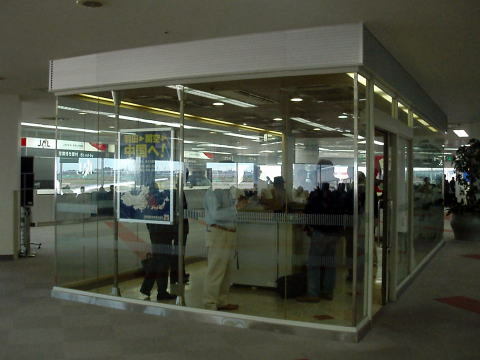 It served over 18,000,000 passengers in 2006, the third in Japan after Narita and Haneda. off the Chitose Line of JR Hokkaido. 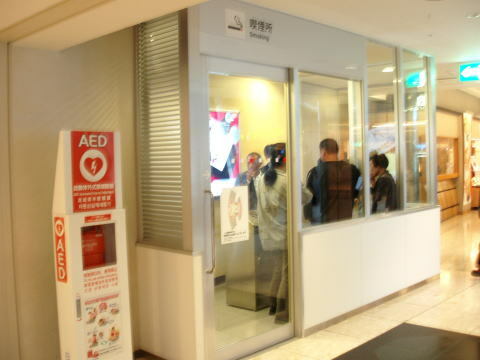 Rapid train services are in operation to and from Sapporo Station. 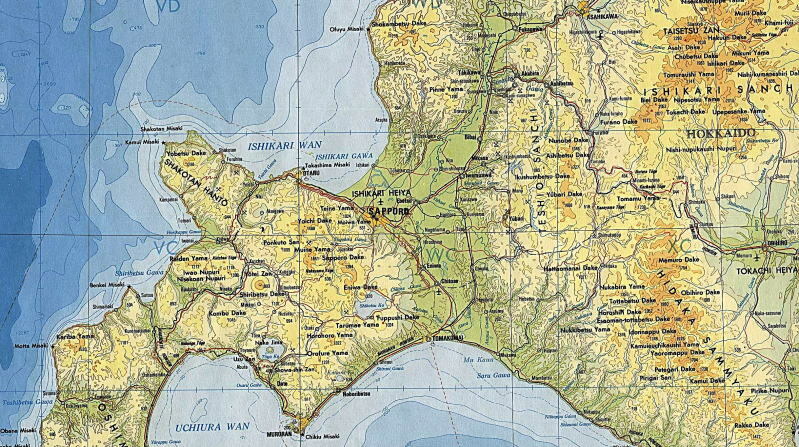 It links the airport and city within 40 minutes. 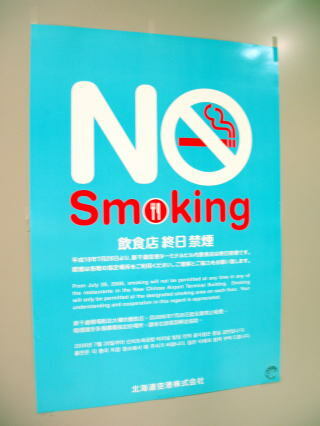 No-smoking sign plate posted at the entrance of restaurants and bars. 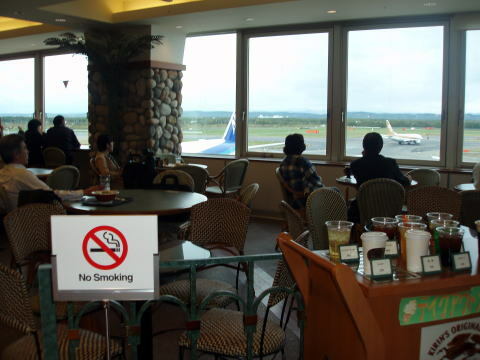 Total smoking ban has been going on since July 2006.
provided by Japan Tobacco Inc., at the New Citose Airport, Hokkaido. There is no entrance and/or exit door. 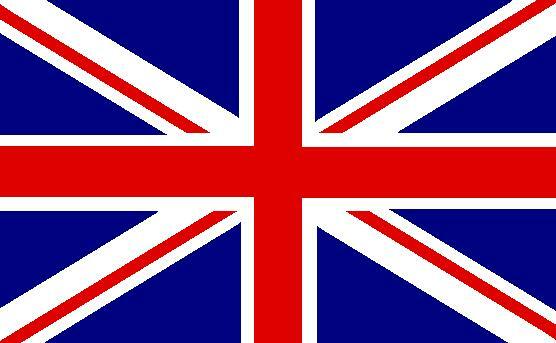 tobacco smoke. The company said it provide a comfort effect to both smokers and nonsmokers. 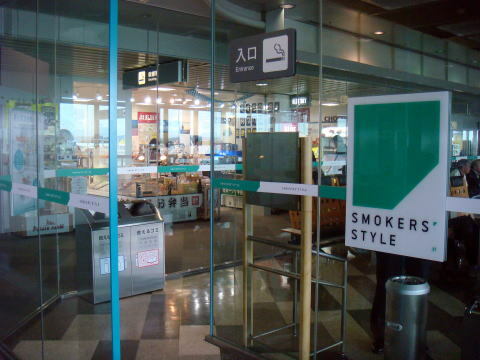 (L) Japan Tobacco Inc. (JT) is studying about the air flow in a smoking room to try to oppose a total prohibition. Blue plate represents smoking area, red plate non-smoking area. 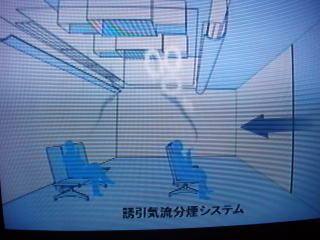 (M) JT insists to provide a ventilated smoking space in indoor public buildings. 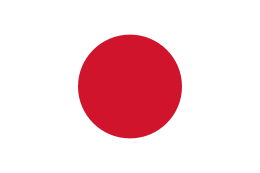 (R) Japan Tobacco Inc.(JT), here, is campaigning about a strong aspiration power of tobacco smoke. 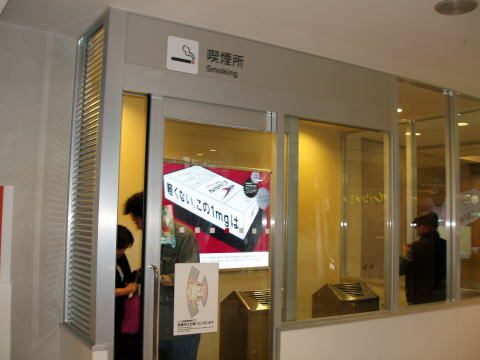 Japan Tobacco Inc. insists to keep a smoking room in all public places, including an airport terminal. 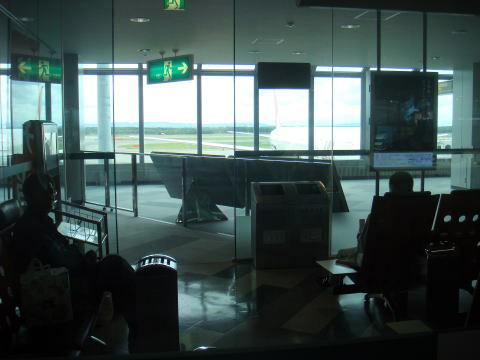 buildings in New Chitose Airport, Hokkaido. 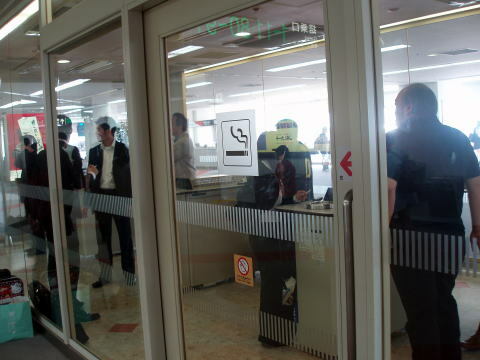 There is no entrance and/or exit door at the smoking room. 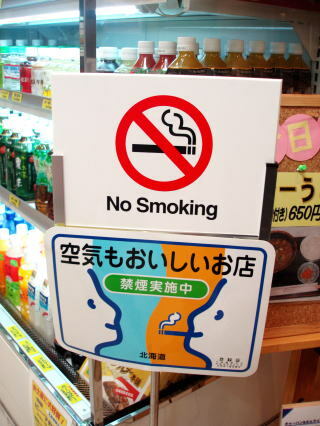 commercial sponsored by the Japan Tobacco Inc..
Japan Tobacco Inc. is supporting aggressive street smoking bans in order to foil to prevent a clean indoor air act?